This 18th century poem was written by Robert Burns and is traditionally sung at the moment the clock strikes midnight of the brand new year. Auld Land Syne actually translates to Good Old Days. Here we are, the last day of 2009. As I look back on this past year I am amazed at how much I have learned just from starting a blog and meeting so many of you. You have enlarged my coast, so to speak. I am filled with awe at the talent, creativity and beauty that is shared via this blogging world. Whether it is thift stores, antique shops, home improvement or quilting, the internet has surely made it a very small world. I love the term "Vintage things" better then old, or antique. It is a term that I learned about when I started participating in Vintage Thingies Thursday with Colorado Lady Suzanne as our hostess. Every week I love to visit the other blogs and see what great vintage treasures are being shared. As I love to go to thrift stores and hunt for hidden treasures, this vase was one that I could not pass up. I am showing it with our sweet 94 year old aunt. She has been my teacher, friend, soul mate in treasure hunting. I used to tag along with her to yard sales, antique shops and all kinds of second hand stores. She loved paper weights, and she also loved vases. She had quite a collection of both of these things. So when I saw this vase at the GoodWill, I knew it was for her. It is heavy glass and looks very much like a paper weight style. There were no markings on the vase, but it was beautiful none the less. Our aunt was so thrilled with it, and just keep looking it over and over. 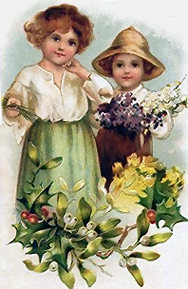 Please be sure to stop by Colorado Ladys blog and take a peek at the other great Vintage Thingies. And I wish you a very happy and blessed New Year! "And there were in the same country shepherds abiding in the field, keeping watch over their flock by night. And, lo. the angel of the Lord came upon them and the glory of the Lord shone round about them: and they were sore afraid. And the angel said unto them, Fear not, for behold, I bring you good tidings of great joy, which shall be to all people. For unto you is born this dya in the city of David a Saviour, which is Christ the Lord. On this Christmas Day I am most thankful for the gift the Holy Child brought on that first Christmas night. And may you know the One who brought this free gift. Hey there ya'll! Wow the past 4 days have really been a challenge. We had workers scheduled to come in and replace the duct work and AC/Heating unit in our home. As many of you know, we live in Florida, so my dear hubby was thinking this would be a good time to do this, as it's normally very nice weather in December. However, the weather decided to turn cold this weekend, so we started off Monday morning with 48 degrees. Now let me tell you, that is COLD in Florida. And to top it off, the workers thought they could get everything removed, and installed in one day. NOT! We ended up having to move everyone to my in laws house to spend the night. Believe me it is no fun to stay in a very cold house and try to get some sleep. I guess we are spoiled that way ;-) Today the inspector finally came, and we are up and running with heat and/or AC whichever is needed. I'm so happy that it is all done, and now I have to get my house back in order so we can enjoy our Christmas. While I was not able to do much posting in the last few days on either of my blogs, I did manage to read a few. One that really caught my attention was Cutie Pinwheel. I am a follower of Rae Ann's blog, and when I read her recent post, I asked her if I could link it up to mine. I'd like to ask you to stop by Cutie Pinwheel and read about "A Christmas to Remember". I think you will enjoy her blog and you will be blessed by her recent post. There are so many needs in our world today, and many times it just takes one person to step out and make one small effort. Before you know it, many peoples lives are affected. Thank you Rae Ann for sharing about your Christmas to Remember. It's always a good reminder that we should remember the less fortunate year round. This time of year lends itself to thinking about home and family. Unfortunately there are people who are homeless, or are losing their homes. It has to be such a hard position to be in. When I sit in my little breakfast nook in the mornings, I think about how thankful I am to have a home. My dear sweet husband works hard so we can enjoy our little home and I am able to stay at home with the children. I am thankful for the Lord's faithful provision. I am thankful for our sweet little home. Today I am joining Rhondi for Thankful Thursday. Be sure to stop by and visit her blog and the other ladies that are sharing what they are thankful for today. I have been sharing what I am thankful for since the first of the month until Christmas day. There are certainly more then 25 things I am thankful for, but I find that sometimes I may not always share what I am most grateful for. Today I am thankful for books! Our family loves to read books. Ever since my children were small and learned to read, they have consumed many, many books. I am thankful that we have the ability to read the written word. A book can be a companion or friend when you are lonely. It can be company when you are on a long journey. A book can give you insights and knowledge about things you don't know about. And books can bring truth or lies. The greatest work ever written was penned by man, but inspired by God. The Holy Bible is what I am most thankful for today. Man has written many books, but the Bible has been passed down for generation after generation. Everything you ever need to know about life is written in the inspired Holy Word. May your day be filled with the light of His Word. Today is the last of Tea Things Tuesday, so I wanted to join our host Kim from Shabby Pink and Pretty for her final week. It has been a delight to visit so many lovely blogs and see beautiful tea collections over these last months. I have two sweet tea angels. The first one was given to me by my sweet daughter. The "Angel of Hospitality" was given to me by some sweet friends in memory of my BFF who passed away 5 years ago. My BFF was such an incredible hostess. Her door was always open and a pot of hot water ready for anyone who might stop by and join her for a cup of tea and some good conversation. She has been sorely missed. As Christmas is approaching, I am unwrapping my lovely Christmas dishes. I love serving on these "Happy Holidays" dishes. Unfortunately, I do not have a teapot to match my Christmas dishes, but I saw this Winter time teapot and fell in love with it. I've added the sugar and creamer that are made in Poland. Since the first of the month I have been sharing what I am thankful for. Today I am thankful for YOU, my blogging friend. I've met so many wonderful bloggers from all over the world. So I would love to invite you to share a virtual cup of tea with me today. My daughter made some lovely crochet stars to hang on our tree this year. We have enjoyed many ornaments through the years. Some have sweet memories. We have had this lighted ornament for probably close to 30 years. I love to see it come out of storage and up on the tree. One year my mother in love gave us a box full of wooden ornaments. I think this is probably the last one to survive. The year that my daughter traveled to Russia, I found this ornament that represented the Russian culture. Then the children all took piano lessons. What fun to find ornaments to remind us of certain events. One year my son made this in his church class. I am surprised that it has lasted for so many years. But I treasure it none the less. And so our tree stands proud and tall. It may not be the most elegant or the most amazing tree, but it delights us as we celebrate the coming of Christmas. And so I am thankful for all the sweet memories of Christmases past. And for all the special ornaments we decorate the tree with that bond us with the past and look forward to the future. Wow it is already the 12th of December. How the month is flying by. How the year is flying by!! Take a look at this picture. Isn't this a true picture of love? My hubby's aunt recently celebrated her 94th birthday. She has been such a sweet blessing in our lives. As we have watched her decline in the last few years, she has needed more and more care. Hazel took care of Aunt H's brother for the years he suffered from Alzheimers. She was the only one that could handle him. After he passed away, Hazel would come and spend two days with Aunt H. Hazel did a few little things around the house, but mostly was a companion to Aunt H. Even when Aunt H had to move into an Assisted Living Facility, Hazel was hired to help Aunt H. It became a daily job until Hazel's husband became ill with cancer and dementia. It truly was a sad day when Hazel gave up her job and stayed home to care for her Buck. Aunt H's memory has declined in the last couple of years, but on the day of her birthday she remembered all of us. Maybe not our names, but she sure knew our faces. When Hazel walked in, Aunt H started to cry. She told Hazel "You quit me!" But Hazel lovingly explained to Aunt H what had happened and why she could not come anymore. It was such a sweet reunion. One that is not typical I would think. It was not a reunion of companions, or workers. It was a reunion of friends. So today I am thankful for caretakers. Whether you are caring for a child, or caring for a parent. It is such a big job, caring for the needs of others. And I am thankful for the loving bond that sometimes transpires between two souls. It's the way it should be. This suitcase belonged to my Dad. I have no idea where he got it, or how long he had it. See the tags still hanging on the handles? The green one says Tampa Union Station. So this old suitcase did travel by rail. When you lift the lid, you can see what I've kept inside over the years. It's filled with old photos, past birthday cards, and even some old magazines. Sometimes I love to sit and look at the old pictures. These are some of me and my parents. This is my favorite picture of my Mom. These are all part of my heritage. So today I am thankful for my family heritage. For the men and women who shaped and formed my family roots. I never knew many of them, but they were living breathing people, who made their mark during their time on earth. They instilled values that have been passed down to me. And for that, I am grateful. 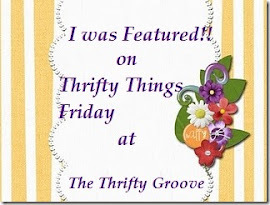 Today I am joining Colorado Lady's Vintage Thingies Thursday. Please be sure to visit the other blogs that are sharing about their vintage things :-) It's always fun and interesting. Whenever I see this Norman Rockwell picture "Freedom from Want" it always makes me think of Thanksgiving around the family table. But in truth, there is more significance in this picture. At least in our country, we truly have freedom from want. We are so blessed to live in a country where you can find almost any kind of food at almost any time of year. Today I am thankful for the abundance of food that is so readily available and conveniently located in our area, whether from a local grocery store, a farm or at a fresh market. For several years I would host a Christmas tea. It was a fun time to renew friendships and enjoy lunch together. My sweet mother in love has been such a wonderful example to me when it comes to Hospitality. She is a most gracious hostess and she welcomes everyone that passes through her doorpost. I am thankful today for the gift of Hospitality. When we open our homes, we open our hearts. I am thankful for the beauty of the earth. Have you picked up your mail today?? Was there a letter from a friend, or a package, or just bills and junk mail? I've thought about how easy we have it in our world today. Most of us receive mail right at our front door. Packages arrive either by mail, or a delivery service like UPS or Fedex. How hard it must have been years ago. The pioneers in our country waited weeks, or maybe even months to hear about their loved ones. Some people found out a year after a loved one had passed away. 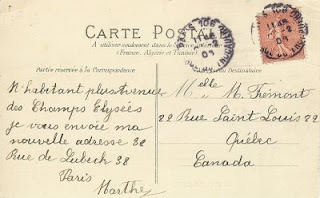 When receiving a letter, it was like receiving a gift. Family would gather around to hear the latest news from the letter being read. During this season of the year, we tend to hear from family and friends that live far away. Christmas cards are still sent by way of postal. I love hearing from old friends and what has been going on in their lives during the past year. So today as I was thinking about what I am thankful for, I had to stop and think about all the people that serve me and my community. The postman, the garbage man, meter readers, even the servers at restaurants. We can share a happy greeting with them as we pass them each day. I am joining up with Rose Colored Glasses, and Colorado Lady's Vintage Thingies Thursday. If you are visiting me for the first time, I welcome you. 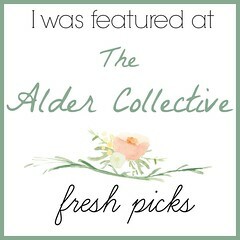 My blog is about my love of vintage, thrifting, and finding hidden treasures. Beginning on December 1st, I've been sharing 25 things I am thankful for, sharing up til Christmas Day. Please join me and share what YOU are thankful for. Today my Vintage thing is this very old frame. This is a portrait of my parents, probably taken back in the late 40's. The frame is very fragile and has many cracks. Here is a little closer look at the detail in this beautiful frame. The back of the frame is all wood. I have many old pictures of my parents. They were older when I came around, and I did not have either of them for very long, but today I am thankful for my Mom and Dad. We sometimes experience cracks and breaks along life's way and growing up can be a hard job. Yet those cracks mold us. They build character that, if we let them, allows us to learn life's lessons. We don't get to choose the parents that we have. But I am thankful for the parents God gave me. I'd love to have you join me for the next 22 days. And share with me what you are thankful for. Many, many years ago, I sang with a ladies trio. We only sang together for a short while, but it was something that I so enjoyed. I'm sure you have heard better quality, but we made some pretty harmony. At this time of year I always love to hear the Christmas music. Some are peppy and some are slow and easy. Who can resist singing along with Bing Crosby, Nat King Cole or Karen Carpenter. They are all gone, but their music still fills the air every year. So today I am thankful for the music. The music that puts us all in the Christmas spirit. Whether we have snow or sand, Christmas music fills our hearts with memories. Some of times past, and some of days to come. Enjoy the beautiful sounds of the season. The other day I heard about a random act of kindness at a Starbucks drive-thru. Someone paid for the coffee of the one behind him in the drive-thru. That driver then paid for the one behind him. The simple act of goodwill spread six cars back. I love stories like that. I don't think that I am a giving person often enough, but yet when I hear stories like that I want to be a giver. I want to be kind to strangers. Giving inspires giving. Kindness inspires kindness. Typically simple acts of kindness and giving are more prevalent during this time of year. When you are kind, you inspire kindness in others. Have you ever walked past someone who looked unhappy? By sharing a smile with them, they in turn smile back. It is is a simple act of kindness and in a way a simple gift. When you give to others, you infect them with a generous spirit. The next 25 days before Christmas are going to be full and busy, and maybe even a little hectic at times. It is easy to miss the chance to give a simple gift. So today I am thankful for simple gifts. A hug from a child, a smile from a stranger, kind words that encourage.